The first Summit in August of 2011 had just over 100 attendees who focused heavily on examining local systems of intervention to identify gaps and overlaps. The 2015 and 2016 Summits focused on increasing trauma-informed practices throughout our three agencies as well as community service agencies. They have also sought to increase awareness of RfL activities as well as available community services and promising initiatives (i.e., neighborhood revitalization, community policing, local mental health services, etc.). Attendance at the summits has grown each year, with over 1,000 individuals attending the 2016 summit. 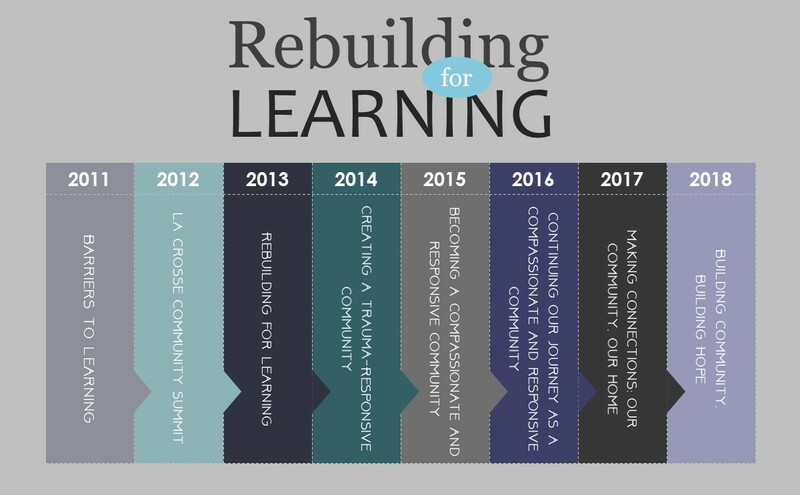 At the 2018 Summit, with just over 1400 in attendance, the Creating a Resilient and Trauma-Informed Community framework was introduced as our Kaleidoscope Model of Change for moving forward.